Really, Palm, you make it too easy for us. I mean, I almost feel bad about the way we keep beating you like circus monkeys. Almost. 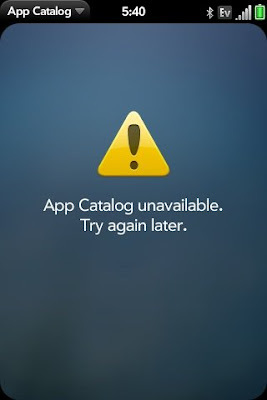 Then again, you do kind of deserve it, at least according to Engadget, which reports that you can’t even run a simple app store and had to shut it down because frigtards figured out a way to trick the system into distributing paid apps for free. Nice work, guys. Really. Keep it up. Much love to Matt for the tip.